Digital multimeter. 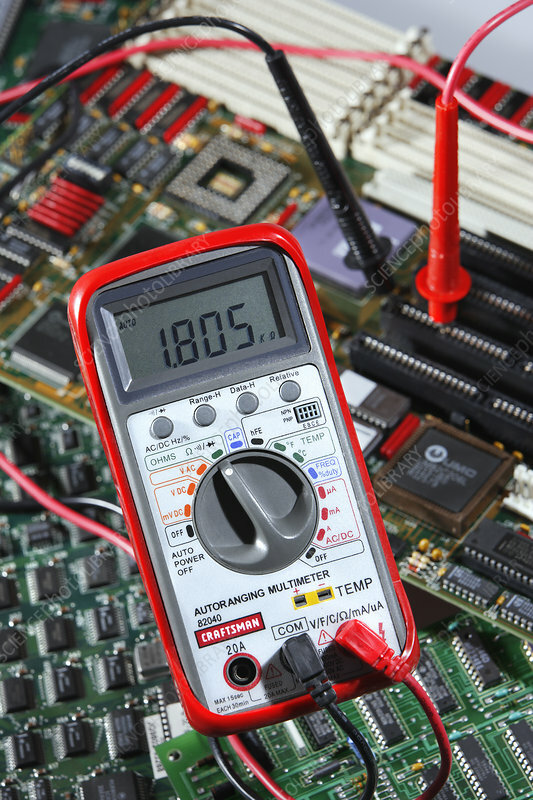 A multimeter is a combined digital ammeter and voltmeter. From these it can also derive resistance. An ammeter measures the number of amperes (electric current) in a circuit. A voltmeter measures voltage (electrical force) in a circuit. The multimeter has its own power source.